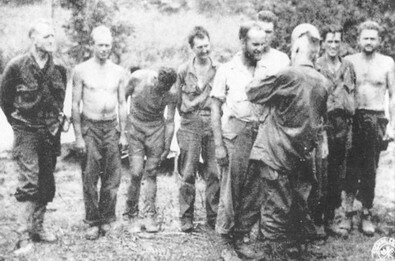 Merrill’s Marauders were three thousand men who volunteered to go on a secret mission in World War II. The mission was so secret, the men weren’t even allowed to know where they were going. 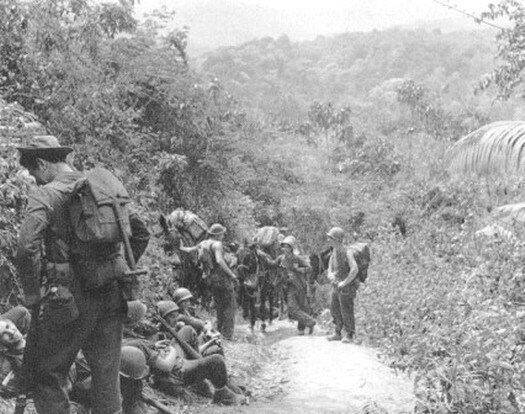 They ended up pushing through almost 1,000 miles of jungle in Myanmar, known as Burma at the time, and fighting in five major battles and 30 minor clashes against the Japanese. There are only thirteen of the original Marauders still alive. Five of them met in New Orleans this week for the last reunion of the group. Three other men, who joined the Marauders as replacements or joined for the final battle of the group, also were present for the reunion. 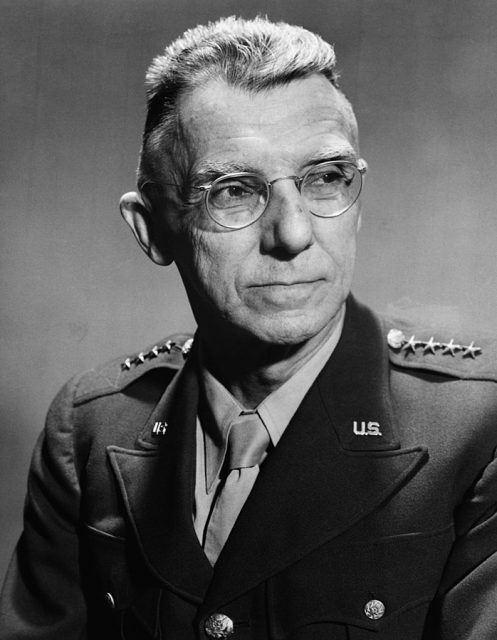 Frank Dow Merrill is best remembered for his command of Merrill’s Marauders, officially the 5307th Composite Unit (provisional), in the Burma Campaign. Also at the reunion were more than 90 children, grandchildren, and great-grandchildren. All gathered in a room at a hotel in New Orleans to reflect on the past, look at photos and articles, and share memories. Those in attendance collected autographs and listened intently to the stories told by the veterans. Rick Lowe attended for the first time along with his grandson, 15 year old Ethan Glen Byrne, of Hamilton, Alabama. Rick’s father was one of the Marauders, and Rick was a teenager when his father died. He started researching the Marauders years ago and learned about the reunions. He came to this last one in order to honor his father. For their service, in the past the group received a Presidential Unit Citation, six Distinguished Service Crosses, four Legions of Merit, 44 Silver Stars, and each man in the regiment received a Bronze Star. Their families are pushing Congress to issue the Marauders a Congressional Gold Medal. 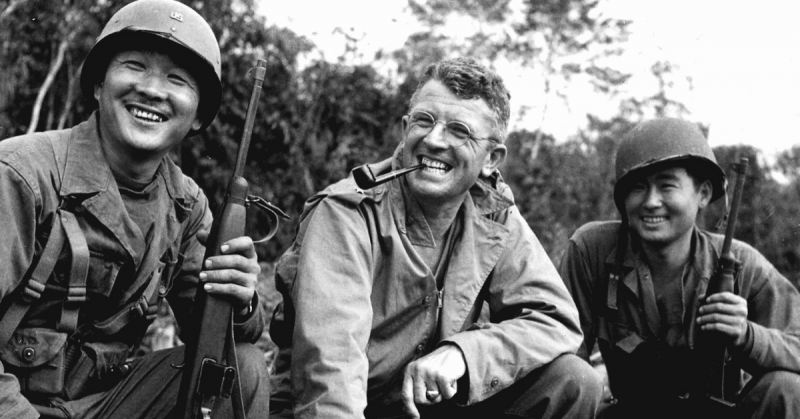 The 5307th Composite Unit (Provisional) was nicknamed Merrill’s Marauders when a war correspondent found the official name to be cumbersome. 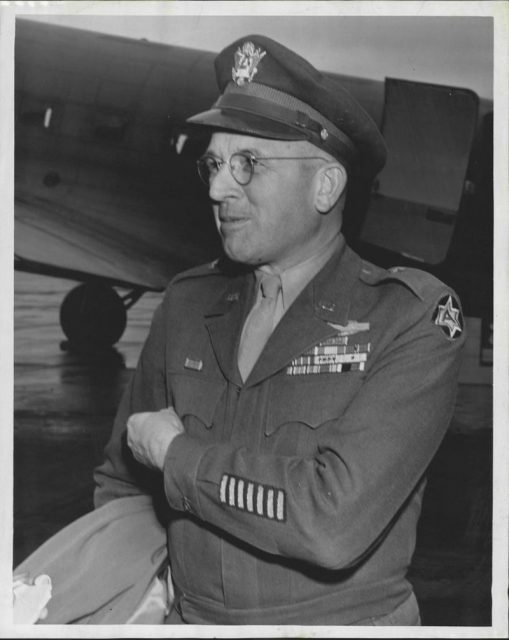 Led by Brigadier General Frank Merrill, the group was a mix of men: some were experienced at fighting in the jungle, others had only recently come over from their city homes, and some were convicted criminals who volunteered in exchange for being pardoned. Robert Passanisi, 94, said he volunteered out of a sense of patriotism and solidarity to his family. Two of his brothers were already serving in Europe. Gilbert Howland, 95, joined in order to stick with his buddies. Marcos Barelas, 96, volunteered because he felt as if he were meant to die in the war, then he might as well get it over with. The Marauders used mules to haul their 70-pound radios and supplies. Muleskinners took care of the pack animals. Lester Hollenbeck, 70, from Deltona, Florida, worked at putting shoes on the mules. He recalled their stubbornness and how the men had to make them lie on their sides in order to shoe them. 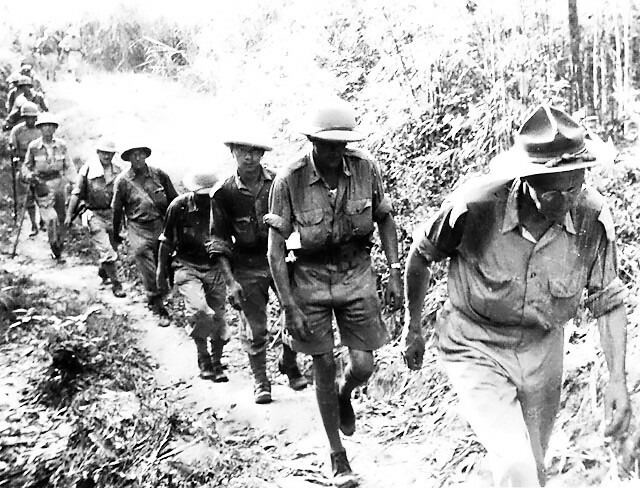 When the group marched through Burma in 1944, 93 were killed by bullets and shrapnel and 293 were wounded. But malaria, amoebic dysentery, and other diseases wiped out five times as many of their men. By the time they reached the airfield at Myitkyina, less then 500 men were able to fight. Howland and Passanisi were both in the hospital when the troops took the airfield from the Japanese. Howland had been wounded, and Passanisi was battling malaria. They were both shipped back to the airfield later in order to help defend it. Even though they will no longer be holding reunions, the close bond among the families of these veterans will remain. Linda Rose Burchett from Hampton, Virginia, said that her father had attended every reunion from 1949 until his death in 2003. She and her daughter have also attended regularly. She said that the Marauders watched her grow up and she considered them her family, and that they will be able to keep in touch through social media.